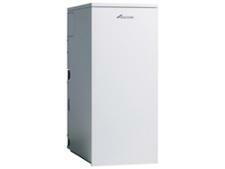 Common boiler problems and repair costs - Which? Which? reveals the most common problems with boilers, how to fix them, and how much it should cost if you can't do it yourself. There's very little more annoying than your boiler breaking down. The chances are it's failed during a cold snap and you're facing days of cold showers and a freezing home before you can get a professional to fix it. If you're looking to diagnose the problem, the first port of call should be your boiler's manual. It's a font of knowledge that will explain fault codes and let you know if you can fix the problem yourself. If you can't find your manual, most manufacturers will allow you to download a copy online. How much is a boiler service? The majority of serious boiler faults are hard for a layman to diagnose, and if you're not a trained heating professional you should never attempt any repairs that involve removing the boiler casing. It's dangerous to do so and also invalidates any warranty you may have remaining on the boiler. However, two of the three most common boiler faults can be handled by a competent DIYer and don't always require the attention of a costly heating engineer. When there's a cold snap, it's remarkably common for a frozen condensate pipe (a condensate pipe is a feature of condensing boilers) to put your boiler out of action. It's not technically a fault with the boiler but if the condensate pipe freezes, the boiler will shut itself down for safety reasons. Before you incur a costly call-out charge from an engineer, always make sure you've checked that the condensate pipe isn't the problem. Learn how to defrost the pipe safely in our guide on how to thaw a frozen boiler condensate pipe. Always make sure that your condensate is properly insulated with foam, as in the image above, as this should prevent it from freezing in the first place. If your boiler loses pressure it could be one of a few things. But most commonly, it'll either be a leak, you've recently bled your radiators and the system has lost pressure, or your heating has been off for a very long time and lost pressure. You can repressurise your system yourself by opening the filling loop taps on your boiler until you achieve the desired pressure (usually around 1 bar). Once this is done, remember to close both taps, at which point your boiler should start to work again. If your boiler is consistently losing pressure then you should have it looked at by a trained engineer to fix the issue for good. This is usually the result of old and corroded washers. You will need a trained heating engineer to open up the boiler and replace them for you. While the three faults above are relatively common, there are lots of specific and technical faults that can occur with your boiler that a heating engineer will be able to help you with. In 2018 we asked 166 Which? Trusted Trader heating engineers how much they would charge for parts and labour to fix the 10 most common boiler faults. You can see the average cost of repair in the image, below. Make sure you cross reference any quotes you get for fixing your boiler against the prices above and make sure you're not ripped off. If it's time for a new boiler, you need to choose one you can trust to keep your home cosy during winter. We reveal the best boiler brands. In the table below you can learn more about the most common boiler parts that fail. Which? members can unlock the table and reveal what those parts affect and how much it typically costs to get them replaced. If you're not a member, sign up now. To avoid any future problems with your boiler, it's worth stressing the importance of getting your system serviced annually. An annual boiler service is the best way to keep it in good working order, diagnose problems early and limit costly repairs. Failure to get your boiler serviced annually will in most cases invalidate its warranty. It only costs about £70 to get your boiler serviced, and it's definitely worth doing to keep you safe and warm through the colder months. Get your boiler serviced by a Which? Trusted Trader. All Which? Trusted Traders have been vetted by a trading standards officer and passed through our own rigorous vetting procedures. Make sure you get the very best boiler service by reading our guide to getting the best boiler service. Carbon monoxide still kills between 25 and 50 people every single year in the UK. Research by the Carbon Monoxide and Gas Safety Society shows that central heating boilers are the biggest contributor to this sad statistic. CO is a colourless, odourless gas that is produced by incomplete burning of carbon-based fuels, including gas. CO stops the blood carrying oxygen around the body and can kill quickly. Symptoms include headaches, breathlessness, nausea, dizziness, loss of consciousness, drowsiness, vomiting, pains in the chest, stomach pains or visual problems. The best way to protest yourself from the dangers of carbon monoxide is to buy a Best Buy Carbon Monoxide alarm, that will alert you if a dangerous leak occurs. 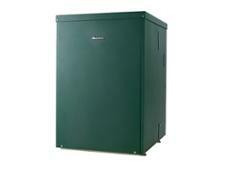 An annual service is also essential to make sure that your boiler remains safe. Owners of old fashioned non-room sealed boilers and systems with hidden flues are particularly at risk from the dangers of carbon monoxide. If after reading this guide you decide you need a heating engineer to diagnose and fix your boiler problem, make sure you use a Which? Trusted Trader. If all else fails, you're going to need a new boiler. Make sure you get one that's reliable - and you can use our trusted boiler reviews to make the right choice.